Okay, so I've mentioned before that I'm a bit of a procrastinator at times, right? Well, case in point: these mini cakes. Can you take a guess how long ago I made them? Ten months ago. Uhhhh, yeah. I made them in February. So, why in the world am I just getting around to sharing them now? Things come up. Photos and ideas "in draft" get pushed back further and further. So, every now and again, I have to pull up all of my drafts and see if there is anything that I really want to share after such a long period of time. Some people may say that if a month or two has gone by, it's not really worth it. I'm not one of those people. These wee fairy cakes came about when an acquaintance was working on an upcoming article about cooking with Absinthe for the holiday (the holiday being St. Patrick's Day). 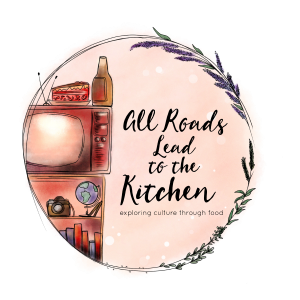 She asked me if I had any tips, recipes, or ideas that I could contribute. At that point, I hadn't really worked with Absinthe in the past. Okay, I hadn't worked with it at all. 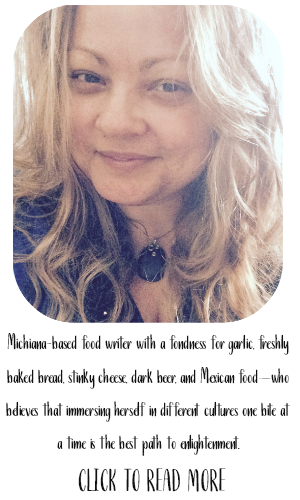 So, I set to work developing some recipes and came up with four solid ones that I shared with her. I've already shared two of the others...in a timely matter - back in March. Those were cooking recipes, Spice-dusted Salmon with Absinthe-Tarragon Beurre Blanc and Scampi Rockefeller; both of which I am extremely proud. The third was a twist on Tarragon Chicken, in which I used a whole chicken (not cut up), and Absinthe in the place of Vermouth or white wine. These fairy cakes were my only baking recipe. 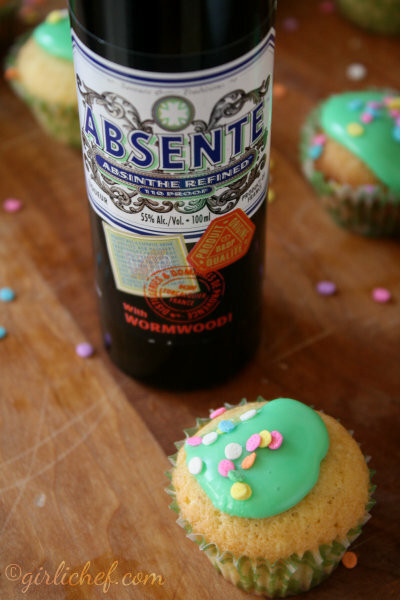 Since Absinthe is known as the Green Fairy, I desperately wanted to make Fairy Cakes. I wanted a play-on-words. 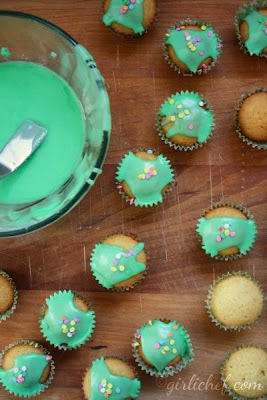 So, "Green Fairy" Cakes were born. These adults-only cakes are easily poppable - and make a fun addition to any boozy party. So yes, since many New Year's eve parties are being planned right now, this would be the perfect time to make a batch or two of these boozy little cakes. 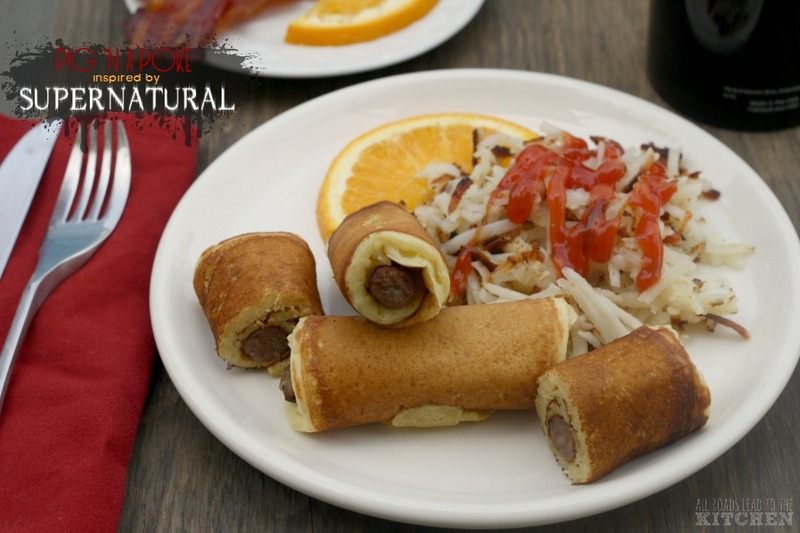 Break out the butter and the sugar and the booze, and start planning your party! 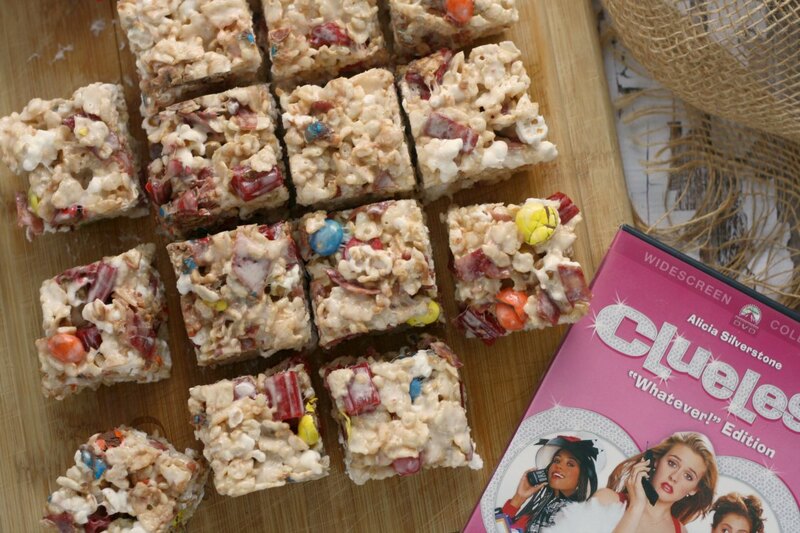 And while you're at it, make a batch of booze-free ones for the kiddos to enjoy while they're waiting for the ball to drop. Preheat oven to 350° F. Line 36 miniature cupcake tins with miniature cupcake liners (or grease the pans). 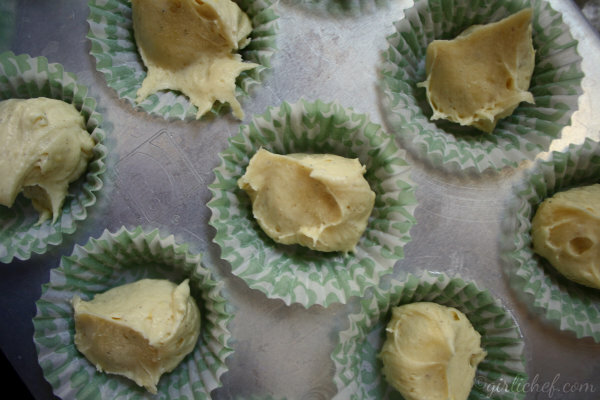 Cream together the butter, sugar, and lemon zest until light and fluffy. Add sifted flour, baking powder, cardamom, and salt and beat until just combined. Drop by heaping teaspoons into the waiting cake papers. Slide into oven and bake for ~15 minutes, or until the cakes have just turned golden and are cooked through. While still warm, poke each cake three times with a toothpick and brush with the Absinthe. Whisk the Absinthe into the sifted powdered sugar until it is the consistency that you would like it. Stir in as many drops of food coloring as you like until you get the shade of green you want. 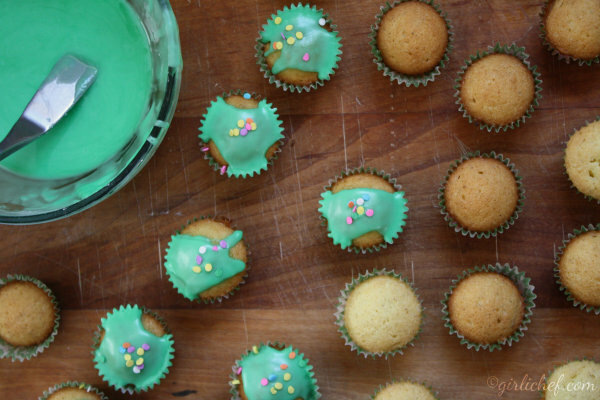 Spoon a dollop onto the top of each fairy cake (you may have extra icing). If you like, drop a few sprinkles (or candied fennel seeds) over the top of the icing or place one dragee in the center of each cake. Enjoy! These cakes are so tiny that they dry out quicker than their larger counterparts. 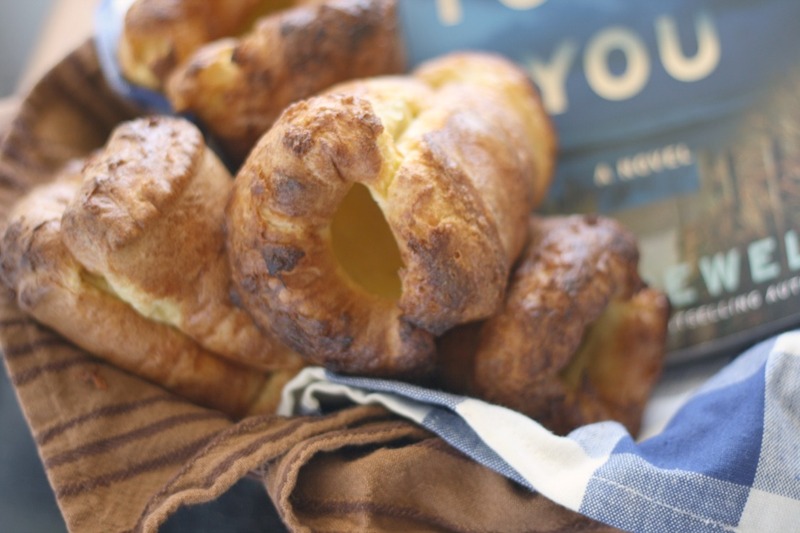 They are best eaten within a day of baking, however you can store them in an airtight container for an extra day or two and they are still fairly good. If you want to make a larger version, use "regular" sized cupcake tins and liners; you should get about one dozen. You will probably need to increase the baking time by 5 minutes, or so. 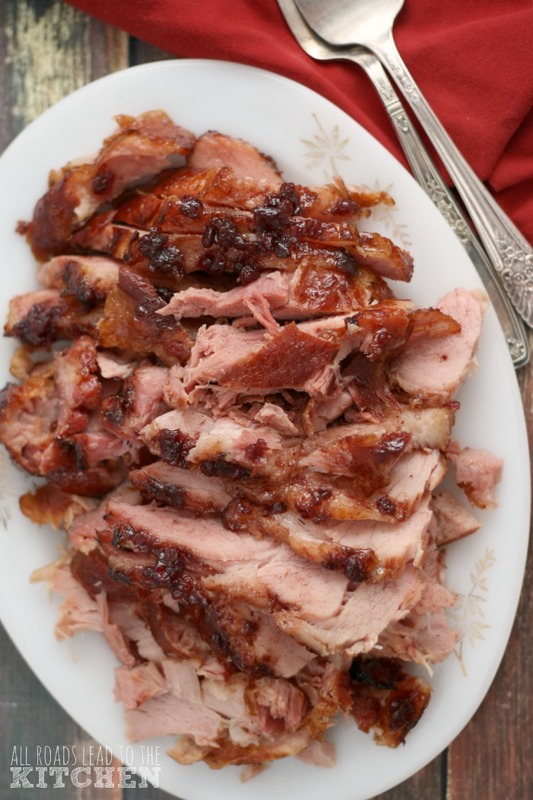 Watch for the golden cake and use a toothpick to test doneness. Absinthe has a very high alcohol content and is used in its regular form here (meaning not heated to dissipate the alcohol). Please make these for the consumption of adults only. If you'd like to make then for children, do not brush them with Absinthe (you could brush it with a sugar syrup mixture or skip that step altogether). Also, you can substitute lemon juice for the Absinthe in the icing. In this case they would be called Green "Fairy Cakes" instead of "Green Fairy" Cakes (well...as long as you use the optional food coloring). 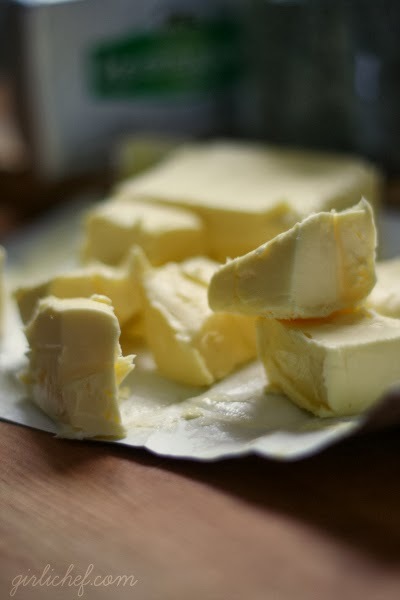 I am a member of the Kerrygold food blogger network, and received a couple of pounds of Kerrygold unsalted butter at no charge for the purpose of holiday baking. I was not compensated for this post, and all thoughts are my own.